Morrie Markoff, 99, and his 97-year-old wife, Betty, celebrate 75 years of marriage. A Los Angeles couple who married in 1938 celebrated their diamond anniversary Monday, having planned a lunch downtown in the company of family. Nothing too fancy, they said. 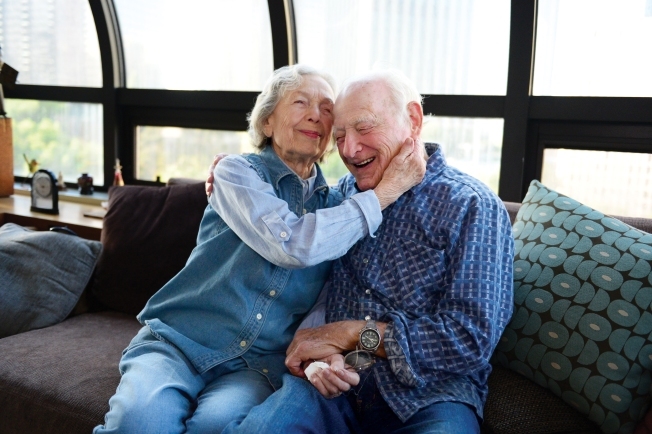 Morrie Markoff, 99, and his 97-year-old wife, Betty, married 75 years ago and have been in love ever since, the Downtown Los Angeles News reported. Markoff told the newspaper she was glad she went against the advice of her girlfriends, who warned her that the handsome salesman she had met in New York was "not the marrying kind." Ten months later, the pair, pictured below, tied the knot on Olvera Street in downtown Los Angeles. Betty Markoff told the newspaper that listening was the key to their long marriage. The Markoffs have two children, five grandchildren and two great-great grandchildren together.